In the characteristics of film noir film movement they are quite similar to the German Expressionistic styles which were mostly shot in low-key lighting, distortion, dark shadows, deep focus, disorienting visual schemes, jarring editing or juxtaposition of elements, skewed camera angles which usually is vertical or diagonal rather than horizontal, circling cigarette smoke, existential sensibilities, and unbalanced compositions. 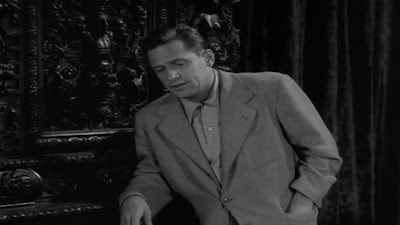 The primary moods in movement of film noir are normally melancholy, alienation, bleakness, disillusionment, disenchantment, pessimism, ambiguity, moral corruption, evil, guilt, desperation and paranoia. Film noir films were also mostly shot in gloomy greys to show the dark and inhumane side of human nature with cynicism and doomed love that emphasized the brutal, unhealthy, seamy, shadowy, dark and sadistic sides of the human experience. A harsh atmosphere of danger, doubt, anxiety, and suspicion that anything can go wrong, gray area of realism, hopelessness, and defeat are the characteristics of film noir. 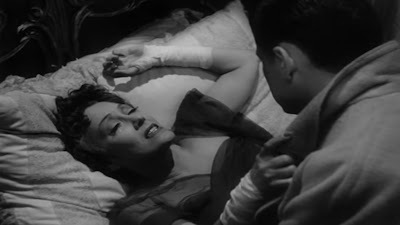 For examples, in the film of Sunset Boulevard by Billy Wilder (1950), the evilness and the guilt was a scene where Norma Desmond (Gloria Swanson) found out that Joe (William Holden) went out very frequently at night which she also found out that he is seeing another woman who is Betty (Nancy Olsen). Immediately, she plotted a scheme, gave a call to Betty and tells her about Joe. She never knew that Joe is back and when she knew that is too late because Joe already know her scheme then she cut herself and act in pain in order to win a sympathy from Joe. Nevertheless, Joe decided to leave her and she shot him to death. In this scene, it shows how evil she is in plotting a scheme to break up Joe's and Betty's relationship and killing him in the end for leaving her, and also the guiltiness for what she had done in cutting herself to win his attention. The essential ingredients of film noir cinematography and mise-en-scene are its specific location which were often in murky and dark streets, dimly-lit apartments and hotel rooms of big cities, or abandoned warehouses. 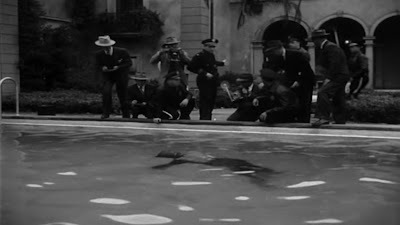 Besides than that the setting of in the interior scene is always seen with low-key lighting, venetian-blinded windows and rooms, tightly framed shots often with extreme camera angles and also dark, claustrophobic, gloomy appearances whereas urban night scenes with deep shadows, wet asphalt, dark alleyways, rain-slicked or mean streets, and low key lighting in the exterior setting of the scene in the film. As for the setting of the lighting for the characters, in the way their bodies are fragmented with lit and were framed half in the shadows. 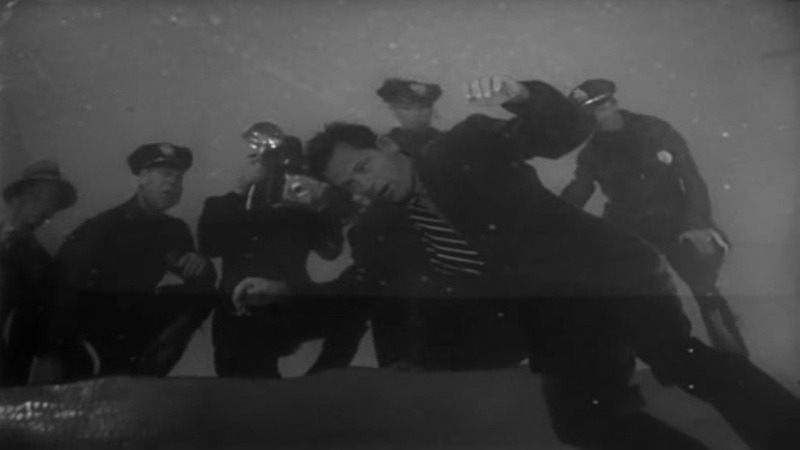 Flashback and flash-forward are also used a lot in Noir films to provide background on current scene, sometimes voice over narration is used. In terms of characteristics of character wise in the film, most Noir films always portray a male protagonist. The male protagonists in this movement were normally driven by their past or by human weakness to repeat their former mistakes. Usually, the male protagonist in film noir wished to elude his mysterious past, and had to choose which path to take or have the fateful choice already made for him. Invariably, the choice would be an overly ambitious one. Often, it would be to follow the goading of a traitorous femme fatale who destructively would lead the struggling hero into committing murder or some other crime of passion. Therefore, the setting of the protagonist is always about his desires, obsessions and anxieties. The shots usually are the viewpoint of the protagonist and his psychological state of mind. The characteristics of a male protagonist can be seen at this scene when Joe said “I am pretty expensive” to Norma where he is trying to get advantages from her since he has financial problems. In order to get what he wants, he is willing to do anything for her, include writing the script, which offer by Norma. There is usually a twist in the narrative for example the victim might be the hunter or vice versa. 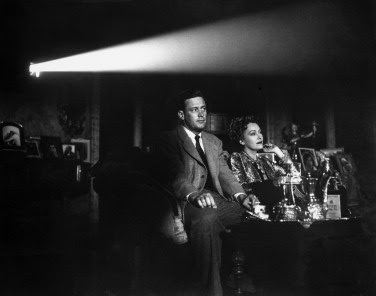 There is no happy ending in most noir films. The protagonist of a film lacks the usual characteristics of a typical hero, but is someone whom the audience identifies. The character is often confused or conflicted with ambiguous morals, and lacks courage, honesty, or grace. The anti-hero can be tough yet sympathetic, or display vulnerable and weak traits. For example in the film Sunset Boulevard by Billy Wilder(1950), Joe ended being killed by Norma Desmond because he tends to leave Norma and Norma found out there is another girl behind the story. Besides than male protagonist, the main noir element in this movement is the female fatal, who is the female representative being in a contradiction with the ideological construct of women. During the war years the number of women that join the labour force was unsettling to many Americans, it showed that women are capable to have a powerful image, most noir films portrayed that in the beginning the women took on murderous roles. The films portrayed the predatory sexuality or psychological strength of the female but male dominance was always restored by the film's climax. The females representative in film noir were either of two types, classical Hollywood cinema' representation of woman which being portrait as dutiful, reliable, trustworthy and loving women; or femme fatales which being portrait as mysterious, duplicitous, double-crossing, gorgeous, unloving, predatory, tough-sweet, unreliable, irresponsible, manipulative and desperate women in the film noir which they are portrayed to weaken the male protagonist. 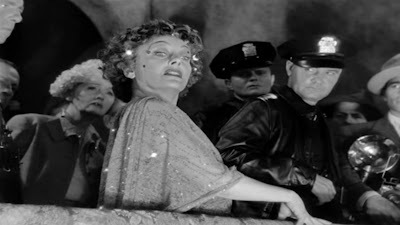 In Sunset Boulevard (1950), Norma Desmond is a retired star which has been forgotten by audiences. 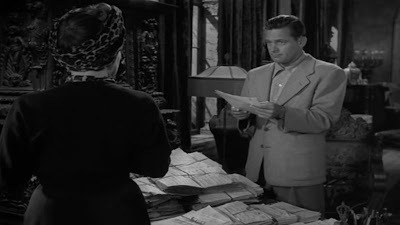 She forces Joe Gillis to read the script and complete it in her house with reason that the script cannot be exposed within her house area. In fact, she just wanted a man to stay with him as she willing to spend anything for him. In another explanation, Joe has been bribed by her wealth and power. She has the power and able to make Joe Gillis to continue stay beside her. She tried to commit suicide after she knows that Joe is planning to leave her. The characteristic of femme fatale is hereby applied in this scene as well where obviously we can see Norma is trying to seduce Joe. 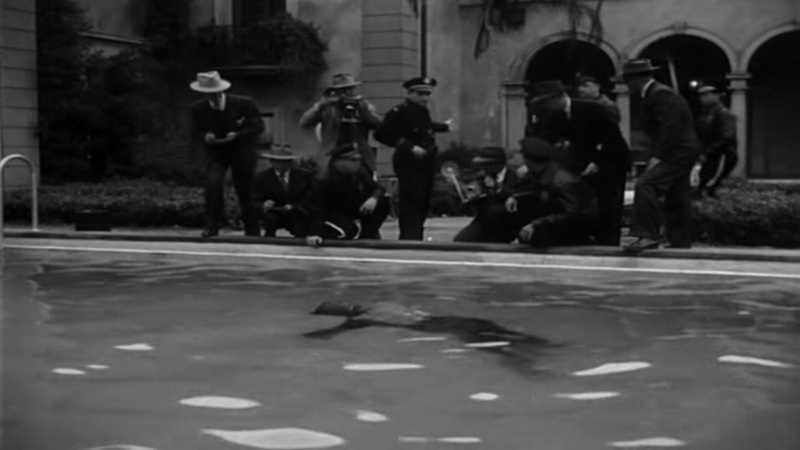 History and development of Film Noir, and the characteristics of Film Noir.